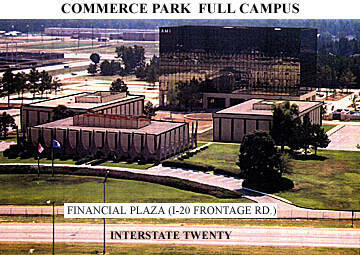 COMMERCE PARK AT FINANCIAL PLAZA: A cluster of one seven-story and three two-story steel, concrete and masonry office buildings, a Marriott Courtyard Hotel and Commerce Child Development Center day care. FOR SALE: 18 hole golf course. including club house, pro-shop, maintenance barn, 14 acre lake and development plans for 206 residential lots on front nine. 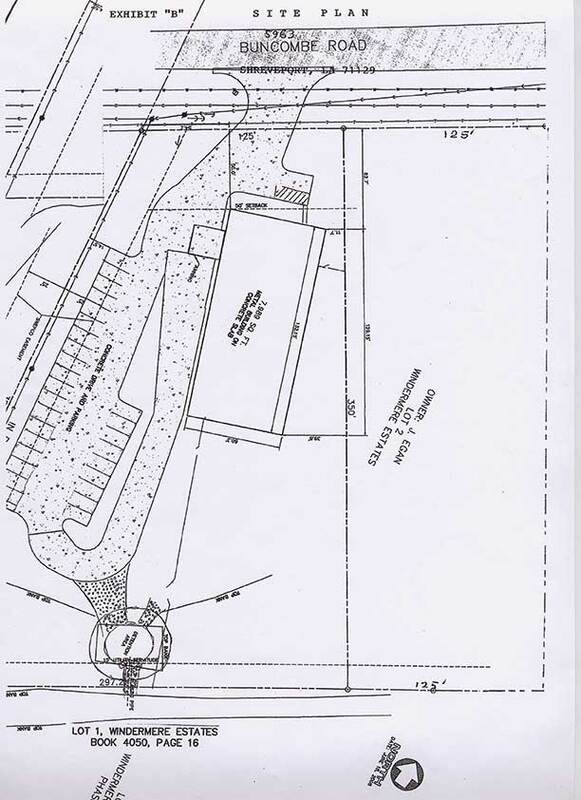 See property on satellite at 5000 Northwood Hills Drive, Shreveport, LA 71107 or our web site for details on property at www.northwoodhillscc.net. 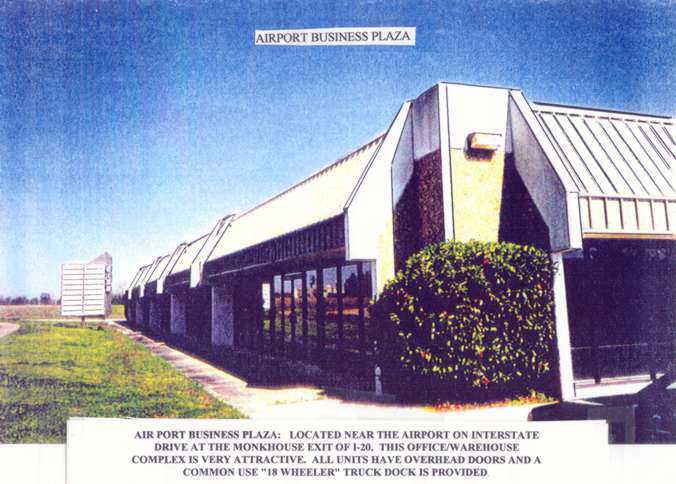 Call 318 458 1061 to speak to owner. 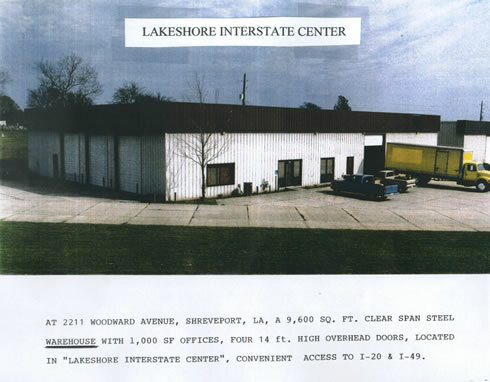 LAKEHORE INTERSTATE CENTER: The Center is an I-1 Light Industrial park with warehouses and one office building, located on the Woodward Avenue I-20 Frontage Road next to the main Post Office and FEDEX and one exit west of the I-20/I-49 Interstate Exchange. 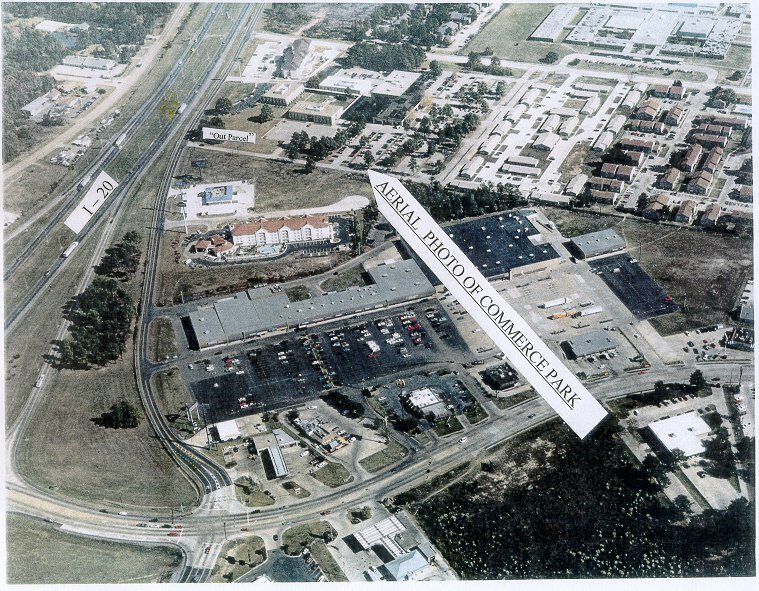 * At 2211-15 Wooward Ave. For Lease, A 9,600 SQ. 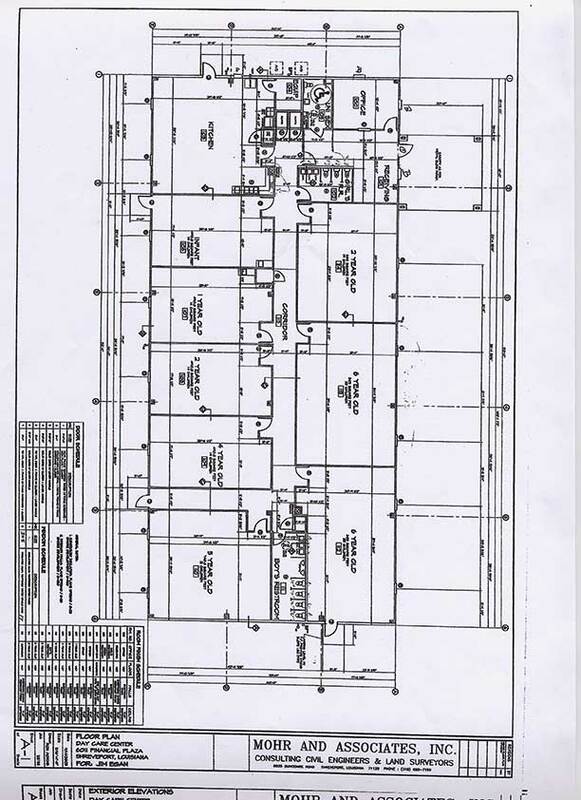 FT. clear span warehouse, 18 ft. wall height, four overhead doors, 1200 SQ. FT. office space. Will build truck dock if needed. On I-20 near I-49 intersection. 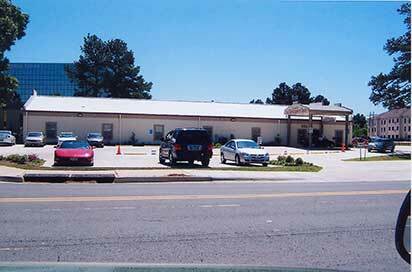 Has excellent visibility from I-20 Interstate Highway. Great for signage. 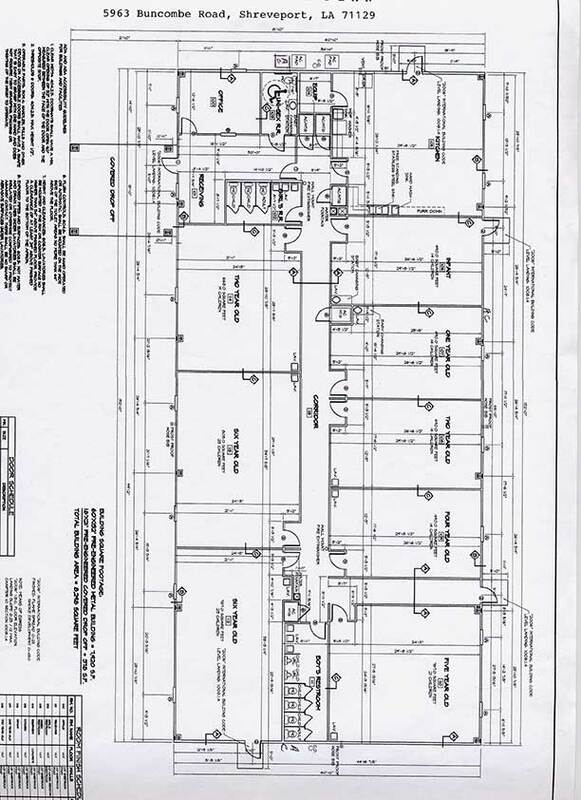 Two, 8,000 SF DAY SCHOOL/DAY CARE 144 chile capacity BUILDINGS FOR LEASE NOW. These are very modern, recently constructed buildings. Call 318-458-1061 for details, photos and additional information. 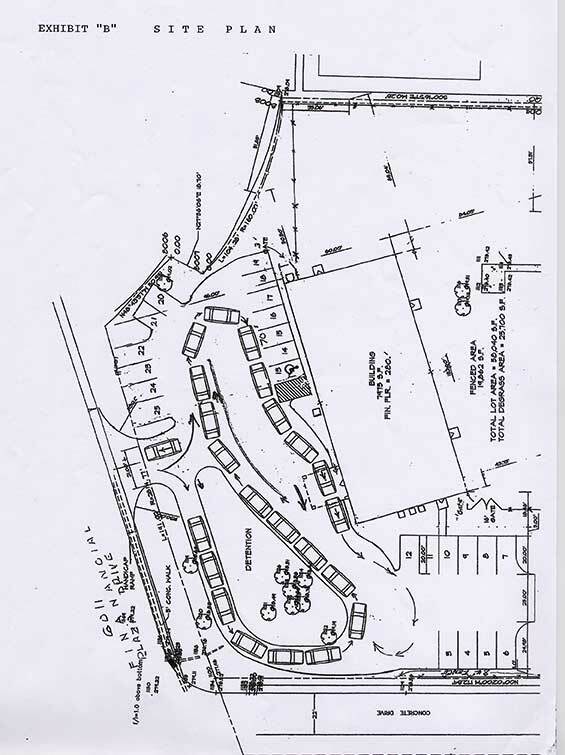 Commerce Park Site Plan showing "Outparcel"
Additional floor plan drawings available by FAX. For leasing or sale information contact us through your real estate broker or contact Egan Properties at (318) 635-9648 or 318-458-1061 or e-mail to jcegan@softdisk.com.